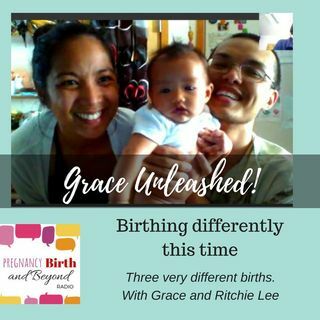 Grace Lee shares her three very different birth stories in three different countries, from caesarean section to VBAC to water birth in home-like setting. Grace's husband Ritchie is a student midwife, having made a huge career change a couple of years ago out of the US Navy. Aired on 99.9 BayFM Byron Bay Australia on 28 August 2017 and the Community Radio ... See More Network on 1 September 2017. Thanks to the Lee Family for so generously sharing their experiences.